Hailed as the latest thing in medicine—deadly as poison! My thanks go out to my contacts at Pegasus Books, Iris Blasi, Katie McGuire, and Maia Larson, for my copy of this book! Rock on! 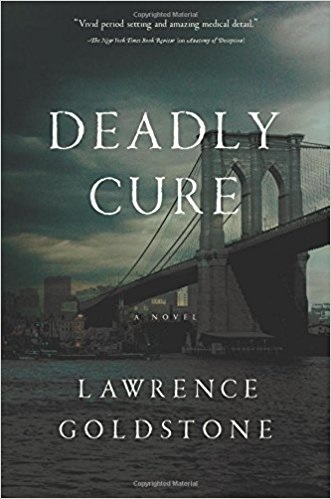 This is the historical account of medical malfeasance, told through the experiences of fictional characters. The fact is that during the late 1800’s, the timeline for this novel, medicine was largely unregulated. Medicines were marketed with little testing as to side effects or long-term use. If the makers claimed favorable results short term, the medicine was considered safe. There was and still is much money to be made in pharmaceuticals. Doctors were and still are given samples of the latest alleged cure, the idea being that the Doctors will test the medicine on patients that display symptoms that the drug is made to fight. Before regulation, this meant that doctors could be paid to report favorably on medicine that had value mainly in financial profits. If patients died or had bad reactions, it was swept under the rug. This is the story of the Bayer Company. When they invented aspirin, they had a marvelous drug to combat pain and fever. Aspirin became the go-to medicine for headaches, sore muscles, fever, colds, and on and on. Aspirin is still going strong today with fantastic results. The reader will recognize some of the featured characters such as Teddy Roosevelt and Sigmund Freud. The Historical corruption in the New York Police Department and the Tammany Hall scandals were exactly as described. The rise of the Bayer Company is historically correct and I was pleased to see real medicine adverts featured in the afterword. A special blending of fact and fiction that is quite refreshing and at the same time chilling! I give this book five stars!